Family Favorite brand for swim schools as voted by readers of Colorado Parent Magazine. 5 years running! Ultra high growth international franchisor of kids concepts. Secret sauce is back office software and services platform that helps both franchisees and franchisor operate efficiently. Platform has applicability to several other industries where facilities, providers and customers need to be matched for service delivery. 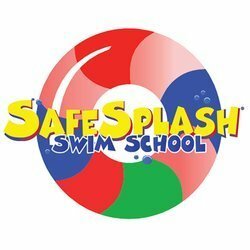 SafeSplash Brands is an international franchisor of educational and sports concepts for children. Our anchor brands are SafeSplash Swim Schools and Swimtastic Swim Schools. Our secret sauce is our proprietary back office software platform and associated back office services that we provide to all franchisees. Our platform includes unique features that allow students to be matched with instructors and faciities that optimize their learning. 20 year high tech veteran and active entrepreneur. Founder behind the following companies: SafeSplash Brands, Lone Star Ranch, WaterSage, Med Hotel, Truelink Media. Corporate experience includes EVP Technicolor & GM of HP's Media division NA. SafeSplash Brands, LLC added a press mention. SafeSplash Brands, LLC added an award. Matt Lane confirmed SafeSplash Brands, LLC as an investment.